BRYAN EATON/Staff photo. 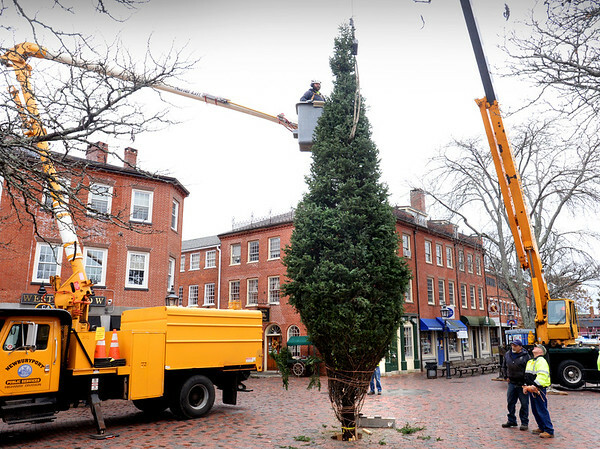 This year's Christmas tree was lowered into place in Newburyport's Market Square with the Newburyport Department of Public Services securing it into place and taking off the twine. The tree will be lit at about 4:00pm on Sunday, November 26 after the Santa Parade, sponsored by the Rotary Club, starts at 3:30.